Stewart Lavelle, from Sarasota, and King Outfitters guide Eli with a fat Big Hole River rainbow caught and released on a dry/dropper rig. 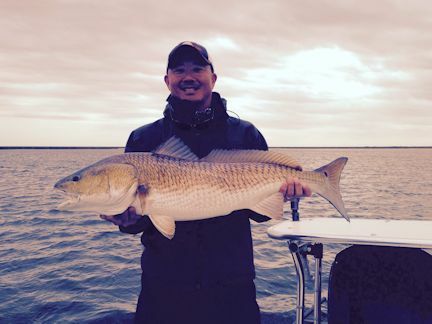 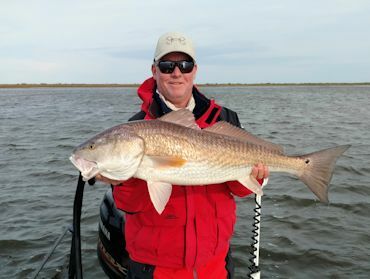 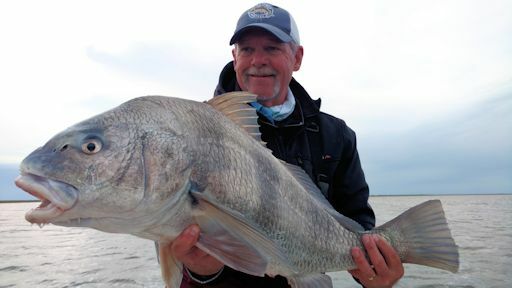 Kirk Grassett, from Middletown, DE, with a big Louisiana red caught and released on a fly while fishing out of Hopedale, LA. 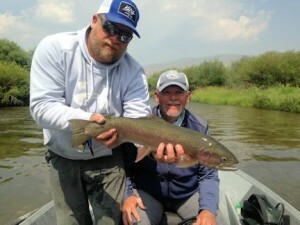 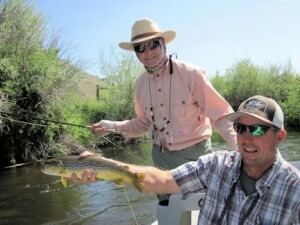 I’ll again be hosting a group of fly anglers in southwest, Montana. 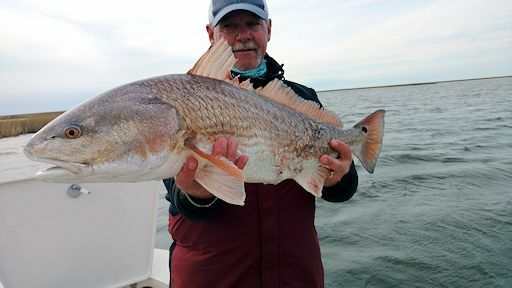 The dates for this year’s trip are Sun, Aug 6 through Sat, Aug 12, 2017. 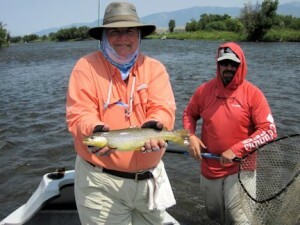 Fishing days would be Mon-Fri, Aug 7-11. 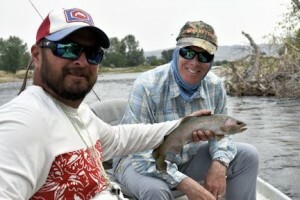 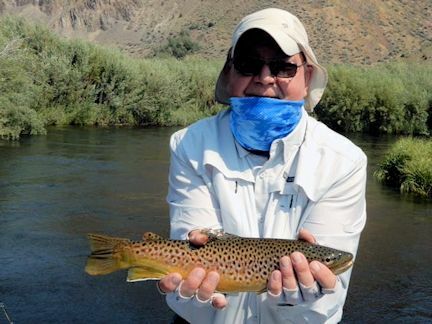 The area has a lot of variety, either wading or floating the Ruby, Beaverhead, Jefferson, Madison and Big Hole Rivers, as well as several spring creeks and a high mountain lake, for mainly brown and rainbow trout. 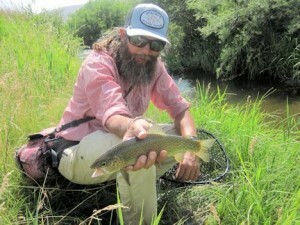 A couple of the spots also have some brookies, cutthroat and grayling. We use mostly 4 and 5-wt rods and you can choose to wade or float on any given day. The wading is not that tough. 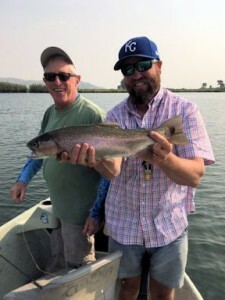 Airfare, gratuities for guides and staff and fishing license (about $50 per person) are not included and incidentals along the way (baggage handlers, etc). 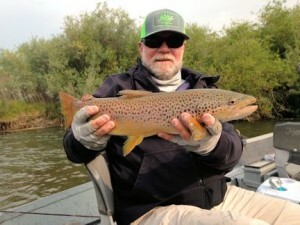 Food, lodging, guided fishing and alcohol are included. Contact Capt. Rick Grassett at (941) 923-7799 or snookfin@aol.com to make a reservation or for more info. 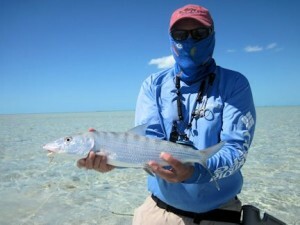 I’ll be hosting a group of fly anglers in the Bahamas again this year. 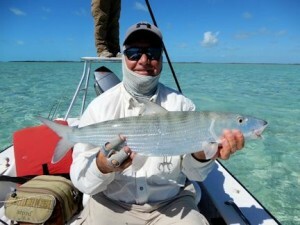 I have the weeks of Nov 5-12 reserved at Mars Bay Lodge (www.bahamasbonefish.com). 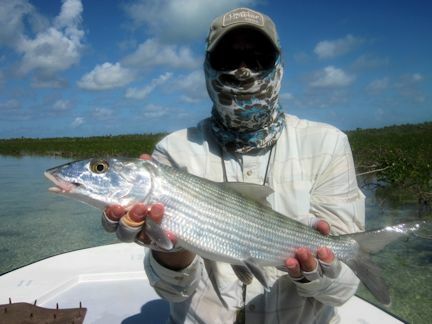 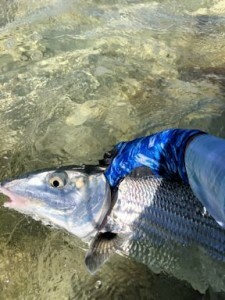 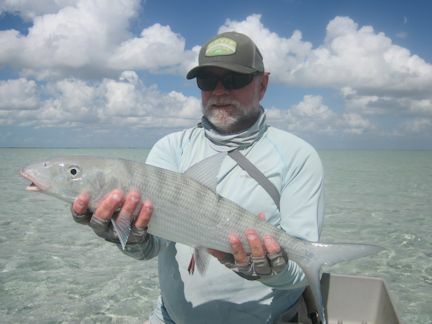 Fall is the time for fewer Dr. flies (they still have no seeums) and bigger bonefish. 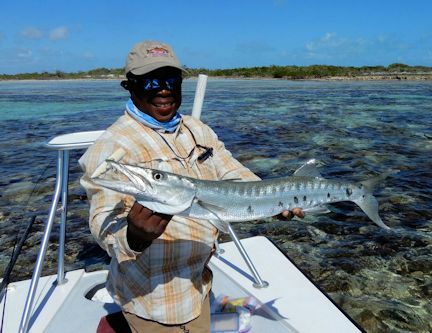 This lodge has a couple of advantages; being at the end of the road on south Andros, they are 10-miles closer to fishing areas to the south and west. That could mean an extra hour of fishing each day or almost an extra day over the week. 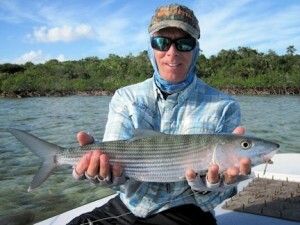 There is also a wadeable flat in front of the lodge that often fishes well for those that can’t get enough on the boat!